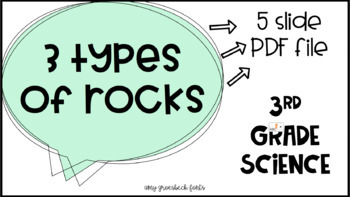 This is a 3rd grade science tool for teaching about the 3 types of rocks. 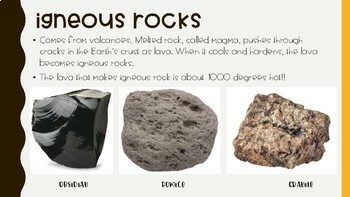 This covers: examples, pictures and explanations on what the types of rocks are. Fonts are Amy Groesbeck Fonts.